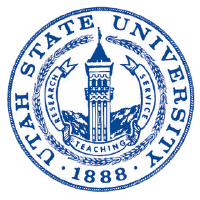 I have accepted USU's offer. I'll join the Applied Economics department in July 2010. We look forward to moving to Cache Valley, but we are sad to be leaving NC. We'll keep you posted. And now back to the weird stuff. That is cool that it is official. I think it is time to start planning MASS now. Since you came up with MASS, does that mean that you are the POPE*? I have some expertise in areas mentioned (okay, mostly just blowing things up and breaking things). I am happy to contribute where necessary. Planner of Other People's Entertainment. The title of POPE will have to rotate. I like the acronym, though.